Some clouds this evening will give way to mainly clear skies overnight. A stray shower or thunderstorm is possible. Low 39F. Winds NNW at 10 to 20 mph.. Some clouds this evening will give way to mainly clear skies overnight. A stray shower or thunderstorm is possible. Low 39F. Winds NNW at 10 to 20 mph. 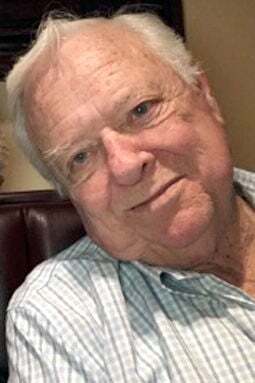 Gary Leslie Mumma, 75, died April 3, 2019, after a brief hospitalization. Gary was born on March 2, 1944, in Dighton, Kansas, to Delmar Mumma and Juanita Watkins. His formative years were spent on the farm, where he was raised by Delmar and his stepmother, Helen. He left western Kansas to attend business school, where he discovered his love of sales and working with customers. That started a long retail career that ended with him being the go-to person for opening new stores and rescuing ailing ones throughout the Midwest for the Gordmans chain. Gary was a loving and generous husband, father, brother and friend. He helped raise many of the people in his extended family, supporting them in many different ways and never thinking but the best about them. To his neighbors, he was the person who mowed their yards in summer or shoveled their driveways in winter. He made amends for the one mean thing he ever did – yell at one of his young employees – by marrying her May 11, 1985, and spending the happiest decades of his life with her. Gary is preceded in death by his father, Delmar, and his stepmother, Helen; his mother, Juanita and his step-father, Robert DeMent; sister, Kay; and stepbrothers, Robert and Larry. He is survived by Sarah, his beloved wife of 35 years; sons, Garrett (Angie, Taj and Zinash), Ft. Collins, Colorado, and Aaron (Sage, Dighton, Chase) Mumma, Cincinnati; siblings, Vickie (Johnny) James, Manhattan, Kansas, Dan (Chris) Mumma, Dighton, Kansas, Michael (Linda Collier) DeMent, Leawood, Kansas; and by many others, including nieces and nephews, who loved him dearly and will miss him greatly. The visitation will be held from 2-3 p.m. Wednesday, April 10, at the Newcomer's White Chapel Funeral Home, Address: 6600 NE Antioch Rd., Gladstone, Missouri. A memorial service follows at 3 p.m. In lieu of flowers, memorial donations may be made to the American Cancer Society or an animal shelter of your choice.